Great photo editing skills can make the difference between an ordinary picture and an award-winning one. This is a valuable ability. Businesses around the world rely on amazing visuals to sell their products, and graphic designers are predicted to be some of the most in-demand employees in the next 10 years. With this free course you’ll gain the photo-editing skills of one of the most powerful graphic design tools available, Adobe Photoshop CS6. This video based course is an excellent introduction to the skills and techniques needed to master image manipulation and photographic re-touching. 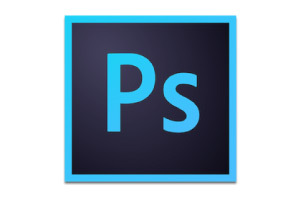 The course will first show you how to use Adobe Photoshop CS6’s user interface, before then guiding you through its essential tools for enhancing your photographs. You will then learn how to remove background elements from images and re-touch blemishes in the original photograph. Next, you will be shown how to insert text and crop elements out of the image so that you can reuse older images in a time-efficient way. The course will then teach you some more advanced Adobe Photoshop skills, such as how to use the individual versions of each tool to meet your specific needs, how to modify and enhance your image for production and delivery, and how to create marquees around elements to remove or modify them. Finally, to give you a real edge and allow your more creative side to come out, the course will show you how to free transform a selection that has been cut from an image, which will give you a lot more control over your finished product. For anyone who works with images for business or as a personal hobby, knowing how to use Adobe Photoshop CS6 can make a big difference. So whether you are a budding photographer, graphic designer, business owner, or just interested in learning a cool skill, this free 2 hour course will get you started on your journey towards creating incredible imagery. So go on, in a few hours you’ll be one big step closer to really professional photoshop skills. Learning outcomes: - Understanding of the User Interface; - Ability to identify and effectively use the various tools within the program; - Use the individual versions of each tool to meet your specific needs; - Modify and enhance your image for production and delivery; - Remove background elements from the image; - Re-touch blemishes in the original photograph; - Crop elements out of the image; - Insert text into your image; - Draw onto your image to create various effects; - Create marquees around elements to remove or modify them; - Free Transform a selection you have cut from an image.